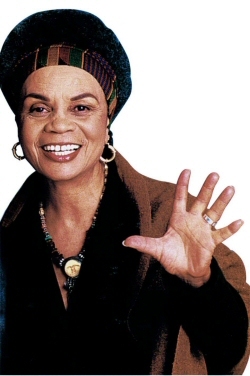 Sonia Sanchez was born Wilsonia Benita Driver in Birmingham, Alabama. After her mother’s death in 1935 she lived with her grandmother. Her grandmother taught her to read at age four and write at age six. When her grandmother passed away in 1943 she moved to Harlem, New York where she stayed with her father Wilson Driver. Driver attended Hunter College in New York City where she took creative writing courses although she graduated with a B.A. in Political Science in 1955. Continuing her education at New York University, Driver focused on the study of poetry. She also married and divorced Puerto Rican immigrant Albert Sanchez, although she retained his surname. She later married poet Etheridge Knight and together they had three children. They would later divorce. In 1965 Sanchez taught at San Francisco State University. The course she offered at San Francisco State in 1966 on the literature of African Americans is generally considered the first of its kind taught at a predominately white university. Sonia Sanchez released her first collection of poetry in 1969 entitled Homecoming. Her poetry was described at experimental and innovative; Sanchez was the first to blend the musical elements of the blues with the haiku and tanka poetry styles. She tackled many genres of literary art such as writing children’s books, and plays. Sanchez is most famous for her Spoken Word poetry books. She was awarded the American Book Award in 1985 for one of her best-known books, Home girls and Hand grenades. Sanchez was a major influence in the Black Arts and Civil Rights Movements of the 1960s. She was an active member in the Congress of Racial Equality (CORE) as well as the Nation of Islam. She was inspired when she met Malcolm X and used his vernacular in some of her poems. She left the Nation of Islam after three years of affiliation in protest of their mistreatment of women. She continues to advocate for the rights of oppressed women and minority groups. Sanchez has received countless awards for her work including the P.E.N. Writing Award (1969), the National Academy of Arts Award (1978), and the National Education Association Award (1977-1988). She has guest lectured in over 500 colleges and universities. Her poetry has been heard worldwide in Africa, Australia, Canada, the Caribbean Islands, China, Cuba, Europe, and Nicaragua. Sanchez’s last faculty appointment was at Temple University in Philadelphia where she was the first Presidential Fellow at that institution and the first to hold the Laura Carnell Chair. Sanchez taught courses in English and Women’s Studies until her retirement in 1999. Ms. Sanchez now resides in Philadelphia.